First introduced in model year 1991, the Ford Explorer has long been seen as the high-water mark in the industry for mid-size and crossover SUVs. 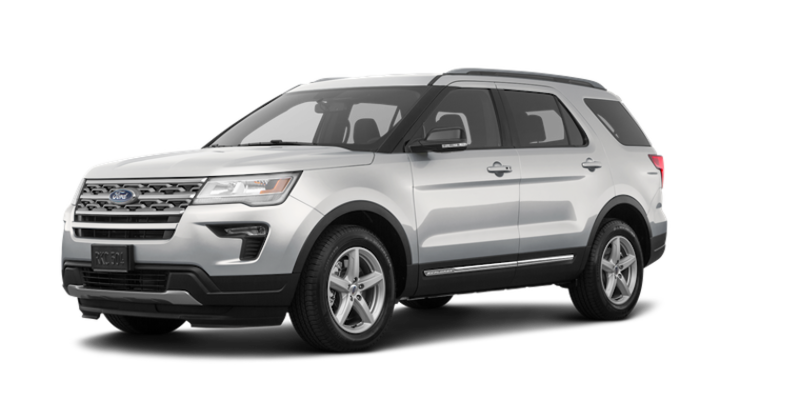 Now in its fifth generation, the 2019 Ford Explorer offers excellent power and performance, a spacious and luxurious interior, and all the technology and safety features you would expect from a top-of-the-line vehicle in the 21st Century. Although Ford has already teased what's in store for the Ford Explorer in the future, the newest model just now hitting the road is a testament to ingenuity and precise design. Every detail of the 2019 Ford Explorer, both inside and out, under the hood and behind the driver's seat, has clearly been thought-out and meticulously executed during its design and manufacture. From its front and rear LED lighting signature, that makes it very visible at night and creates a distinct and memorable impression on anyone who sees it, to its spacious interior with an intelligent design that focuses on both passenger comfort and cargo capacity. This is an SUV for drivers who love SUVs, which is exactly what you would expect from a leading name in the industry. We get excited when we start talking about the all-new Explorer, and we're not shy about it. Ford has certainly outdone itself with this model, especially when it comes to the inclusion of great technology and safety features. Everything is arranged in a way that makes the technology easy and convenient to use, and the features perfectly integrate themselves into your daily routine, which is the most valuable aspect of technology. The safety features are meant to not only handle the unthinkable but to help you avoid collisions in the first place to keep you and your loved ones safe. Up to 81.7 cu. ft. The first thing you will probably notice about the 2019 Ford Explorer is its sleek and elegant design that commands attention anywhere it goes. From the beautiful front grille to the concave side-panels that carry your eyes along the exterior to the rear, every inch of this SUV is practically a work of art. At night, the distinct LED lighting on both the front and rear not only keep the road well illuminated, and make sure you are visible to other drivers, but also create a striking impression that others are not soon going to forget. In terms of power and performance, however, Ford certainly didn't play it safe, so you get excellent performance that gives you full command of the road. It starts with the standard 2.3L EcoBoost engine that delivers 280-hp and 310 lb.-ft. of torque, which can be paired with available 4WD for great performance and maneuverability in just about any conditions. This can also be paired with the Class II Trailer Tow package if you plan on hauling around a trailer or small camper, but if that's not enough power, then there are also two other options available. A 3.5L Ti-VCT (twin independent variable camshaft timing) V6 engine is available, which delivers 290-hp. and 255 lb.-ft. of torque. Thanks to variable control of valve cam timing, this engine can be tuned and optimized for just about any driving conditions, making it a great choice for drivers who like to adjust and control every aspect of the experience. For optimal power, however, there is a 3.5L EcoBoost V6 engine that provides 365-hp and 350 lb.-ft. of torque. This comes standard on the 2019 Ford Explorer Sport and Platinum models, which also have intelligent 4WD systems and can tow up to 5,000 lbs. when properly equipped. The interior design of the 2019 Ford Explorer is all about comfort and luxury without sacrificing convenience and functionality, especially in terms of cargo capacity. Some models, particularly the Platinum, offer unmatched comfort and luxury, but all Explorers ensure the driver and passengers remain as comfortable and secure as possible. Available leather seating and steering wheel options look gorgeous and are comfortable, with options for heated second-row seats to ensure your passengers are just as happy as you are. Up to six passengers, excluding the driver, can comfortably fit within the Explorer, including a front-seat passenger, up to three in the second row, and another two in the third row. This is perfect for large groups of friends, big families with multiple kids, or even just carpooling to work with co-workers to keep traffic down. The front control panel and display keep you informed of everything going on within and just outside of the 2019 Ford Explorer, and all of this information is clearly visible and displayed for the front-seat passenger as well, for easy navigation. In terms of storage space, the 2019 Ford Explorer offers great options and features to let you use every last inch of cargo space when needed, and keep your passengers comfortable when it's not. Available third-row PowerFold seats let you raise and lower the third row of seats completely flat at just the push of a button, which makes loading and unloading cargo incredibly easy. With all of the seats upright, there is 21 cu. Ft. of cargo space in the vehicle, lower just the third row and you get almost 44 cu. Ft. of space, while if you lower both the second and third rows of seats, you top out at more than 81 cu. Ft. of room. When looking at any model year 2019 vehicle, we expect to find some great technology options and solutions, and the Explorer delivers beautifully. The full-color touchscreen display provides you and your front-seat passenger with a great deal of information, but what makes it truly remarkable is the integration of the 2019 Ford Explorer's systems with the rest of your daily life. This is done primarily through the SYNC 3 AppLink with Ford+Alexa support and integration with the FordPass app. SYNC 3 is Ford's voice-activated technology that lets you easily use the included touchscreen and its functions without ever taking your hand off the steering wheel. While your navigator can easily use the display to check apps, adjust audio, and look at navigation - you can also accomplish all of these things with your voice. The SYNC 3 system in the 2019 Ford Explorer includes integration with the Ford+Alexa program that lets you connect with Amazon Alexa. This fully integrates with any Amazon or Amazon Prime account features you already use, to keep all of your technology working together seamlessly. 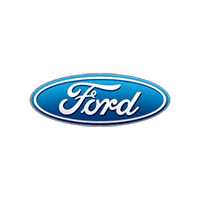 The FordPass app can be downloaded and used on compatible smartphones to give you access to a wide range of features while you are away from your vehicle. This includes things like locking and unlocking your doors remotely through your phone and setting up service reminders. You can even start your engine through the app to start heating up your vehicle in the winter while you stay warm inside your home. All the technology and sleek design in the world is pointless if a vehicle doesn't have features to keep you and your passengers safe. Fortunately, the 2019 Ford Explorer is up to the task and includes a wide range of features to both prevent collisions and help protect you when an accident occurs. This starts with both rear-facing and a 180-degree front-facing camera that provides you with additional and greater visibility than you might otherwise have. You also get a lane-keeping system that alerts you when your vehicle begins to drift out of the center of your lane, rain-sensing wipers and auto high-beam headlamps, and adaptive cruise control with a forward collision warning and braking system. These kinds of features are especially beneficial on long drives, when cruise control can help reduce driver strain, and when the onset of fatigue can be potentially offset by alerts and warnings about lane drifting or vehicles in your blind zones. The 2019 Ford Explorer also offers available inflatable rear safety belts on the second row of seats, which is a first for an SUV in this class. These inflatable belts help hold a passenger in a proper seating position if a collision occurs, to help reduce the risk of injury and provide greater support for the upper body, including the neck and shoulders. These inflatable belts are even compatible with many infant and child-safety booster seats, so they work in tandem with other safety devices to protect your loved ones. When looking at a vehicle with so much luxury and prestige, like the 2019 Ford Explorer, you deserve to shop for it at a dealership that treats you with the same respect you show for your own driving experience. 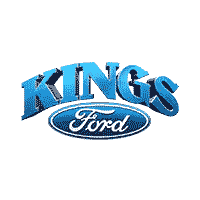 At Kings Ford, we understand that for many people, the prospect of visiting a car dealership and dealing with high-pressure salespeople is a potential nightmare. We're a different kind of dealership: one that focuses on making sure you are happy with every step of the process and choose a vehicle that is perfect for you. Come and visit us and see how buying a new car, truck, or SUV should feel.